The rich brands speak about your own personality. Samsung is the most premium and requisite brand which hits the top brands in one go. Samsung galaxy phones have an elegant and pompous look hinting at how much a person is geek and classy in his own way. With the arrival of Samsung S3 we all took thunderstruck how come this gadget be so beyond ones fantasy? S3 was such a big success of Samsung series. Recently Samsung launched its new Samsung Galaxy S4 which at once came in the spotlight of millions. It is slimmer and lighter than Samsung galaxy S3. 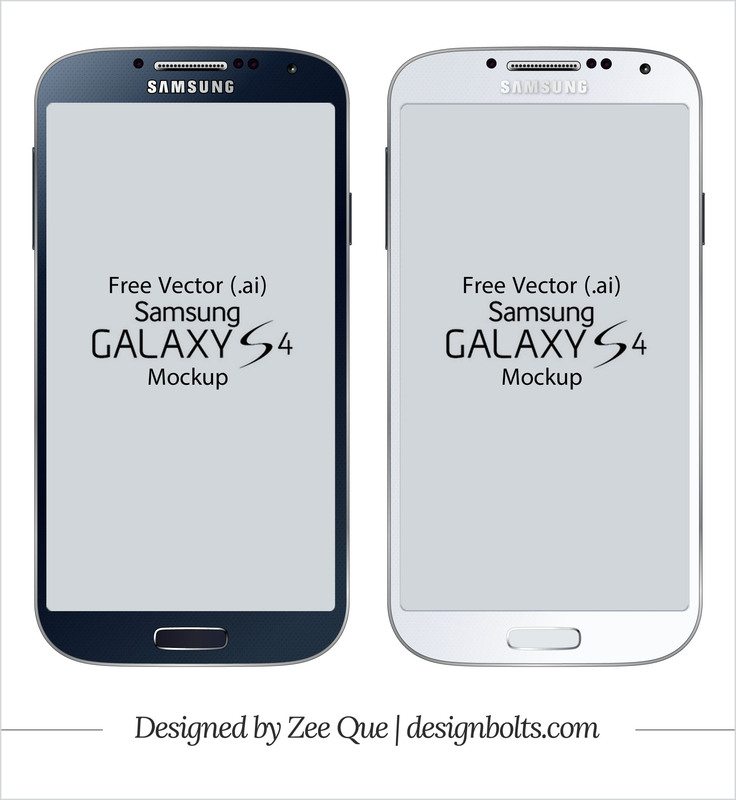 Today I am up ahead to give you a free Vector Samsung Galaxy S4 mockup. Samsung Galaxy S4 is a compact and even finest phone than the previous Samsung S-series. Samsung S4 would not let its fans down as it is targeting on 13-megapixel rear camera also having a front 2-megapixel camera. S4 is available in Black mist and white frost; of course it would be a “level up” from the Samsung S3. This new Samsung Galaxy S4 has a strong and crisp look. The additional acing is its more improved and well defined features to spice up its standard. The huge big screen makes it look valuable and enriching. Take a step ahead with Samsung S4 and let your finger play a fun hover. Catch the fire down below. Good stuff! Usually all you can find is iPhone templates. It’s very o see Galaxy templates as well!